The word Picante means spicy when talking about food. However, Picante isn’t just a word used to describe food; it is food. It’s a beautiful sauce and dips to use on chips, with tacos, and even cook main dishes with it. I love Picante sauce. People ask me if it’s slightly different than salsa, or if it is salsa. It’s neither. You can say it’s salsa, but that’s not quite right. You can say it’s close to salsa, but then you don’t give the Picante sauce its justice. It’s Picante sauce. 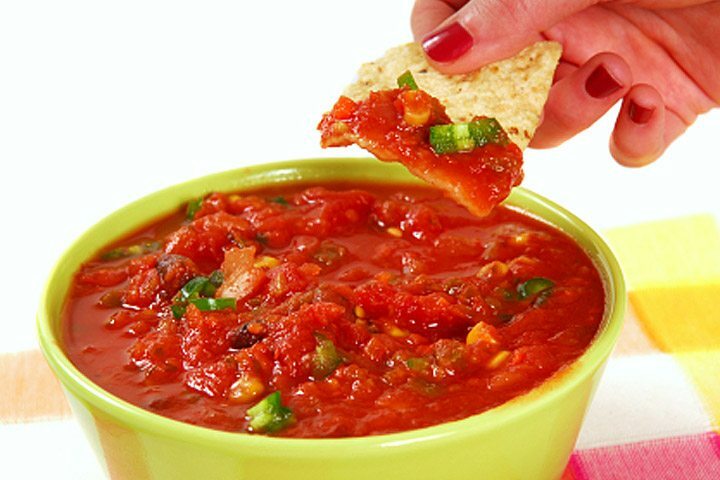 Picante sauce is smoother and thinner than salsa is. It’s more flavorful and is used for more than just chips like salsa is. 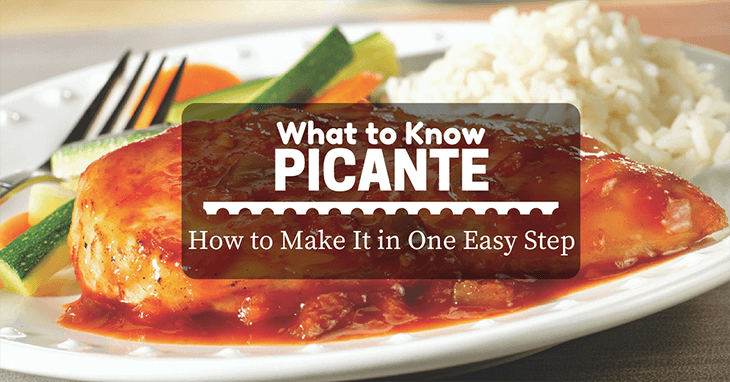 What is Picante How to Make Picante Where is Picante From? Picante is a slightly chunky sauce with a thin base that provides an excellent flavor profile to foods. It’s made with chilies, onions, tomatoes, garlic, and seasonings and can be used for a variety of things. You can usually find Picante when looking at sauces such as Pace™. You can find pace in the international or Mexican aisle of your local grocery store. If you are making Picante sauce from scratch, which I recommend always doing, there are a few things you’ll need to follow my favorite Picante sauce recipe. • Combine all the ingredients in a blender. Cover and blend until smooth. There’s no pinpoint on where exactly picante originated from since it means spicy. Salsa is the closet to the history as we’ll get. The Incan had salsa, which they combined chilies, onions, tomatoes, and spices to create. This is also true with Aztecs and Mayans. Hot sauce can also be found from places such as Guadalajara, and Sriracha is Thai based. There is no precise origin for Picante; however, I do think we can assume the while Pace™ was made in Texas, many places enjoy a nice Picante. From Spanish cultures to Asian and Pacific Islanders. This is a sauce we can all enjoy! You know how to make your picante, and you might want to eat it with chips. However, I’m not that simple! I’ve found 5 recipes that utilize Picante sauce to its fullest. Try these recipes! I promise you won’t be disappointed in what you end up with! I love meatloaf. It’s one of my favorite foods and something I’ve been eating since I was a kid. This is a great idea to use with Picante sauce. For this meatloaf recipe, you’ll need a few ingredients and time. This will take you about 1 hour to make. Place the meat in a mixing bowl. Add the cracker crumbs, egg, Picante sauce, salt, and pepper. Mix until combined. Place in a rectangular baking dish and pour ketchup over the top of the meatloaf. Bake at 375˚F for 35-45 minutes. Make sure it’s cooked fully through. This recipe shows off the Picante sauce in a dish with chicken and pasta. A great place to add some spicy sauce to dress up a chicken pasta. Just delicious and clever! This recipe uses Picante sauce, black beans, penne pasta, chicken, and cheese. You can’t go wrong with this recipe. This cheesy, meaty, saucy dish is amazing. 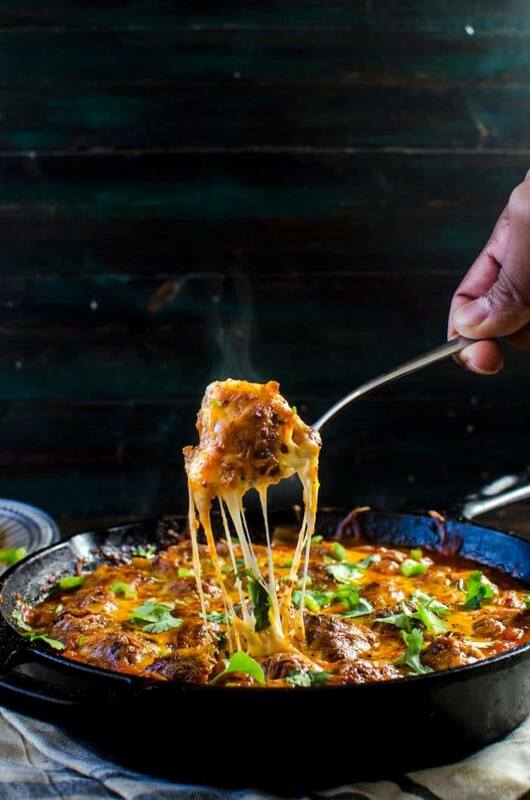 With fresh ingredients and so much flavor, you will be loving this Cheesy Mexican Meatball Skillet recipe. I make this about twice a week. It’s easy to do. When making the first batch, double the meatball recipe. Continue as normal. After you fully cook the meatballs, freeze the second batch for later in the week. It’s so good, so easy, and my family loves it! Mix the meatball ingredients together. Use a 1-inch scoop to form the meatballs. Heat a 9-inch skillet over medium-high heat with oil. When the skillet is hot, add in the meatballs. Brown the meatballs in batches (about 5 minutes per batch). Lower heat to medium. Drain the oil. Add Picante sauce to the pan and bring to a simmer. Add meatballs. Cover and simmer for 10 minutes (meatballs should be thoroughly cooked). Sprinkle the shredded cheese over the skillet. Place under broiler and brown the cheese. Serve. This recipe is simple, delicious, and takes about 35 minutes. You’ll have dinner on the table in no time at all! Baked Picante Chicken is saucy, cheesy, and crunchy! Yes, crunchy! It has crushed tortilla chips, and it adds a slight crunch, but it’s needed for a texture boost to this dish! 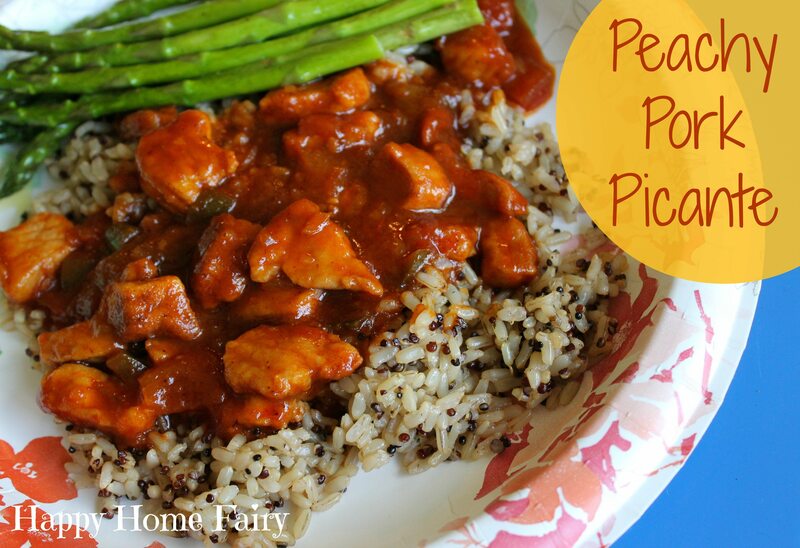 I guarantee this baked Picante Chicken recipe will be a family night favorite from now on! Place the chicken in a 3-quart shallow baking dish. Cover with Picante sauce. Bake at 350˚F for 25 minutes, or until chicken is done. Stir the sauce in the pan and cover the chicken. 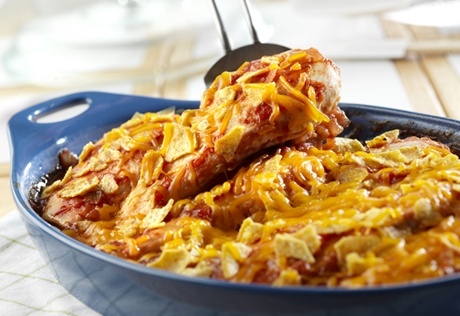 Sprinkle the chicken with tortilla chips and cheese. I don’t know about you, but my family is always asking for new lasagnas. They love the way they look, the flavor, and they’re fun! I’ve made pork lasagna, cheese lasagna, eggplant lasagna, and they’re all hits! This Picante lasagna is the biggest hit among the tomato sauced lasagnas! The flavor is amazing, it’s mouthwatering, and I’m not going to lie, but leave this in the fridge overnight, and it’s even better the next day! There are three basic ingredients to all Picante Sauces: tomatoes, chilies, and onions. After that, it comes down to seasoning, and if you blend it. If you don’t blend it, you have salsa, if you do blend it, you have Picante! You can substitute a serrano pepper for the jalapeno if you want to make a hot Picante sauce. No matter how you make your Picante sauce, you’re one of us. You are a Picante lover, and you should be proud. What recipe do you use for Picante sauce? Do you have any favorite dishes? I’d love to hear about them! If you think there is something I should include or something I missed or skipped over, let me know!